Royal Elite White Goose down duvet with 100% down-proof cotton shell in 4 sizes. Made in Canada. Our products contain the Downmark label which is your assurance of quality and contents. Jump in to today's hottest vintage decor trend with a Rosewood duvet cover set by LJ Home Fashions. '60's inspired vintage floral print. 100% cotton. Duvet cover set is reversible. The same print has two (2) colour options - one lighter the other darker tones. Perfect for the 'designer' who likes to change the look of their room with ease. Set includes one (1) queen duvet cover, two (2) queen shams. Duvet cover has a zipper closure. Shams have an envelope closure. Cold water wash with like colours. Tumble dry on low. 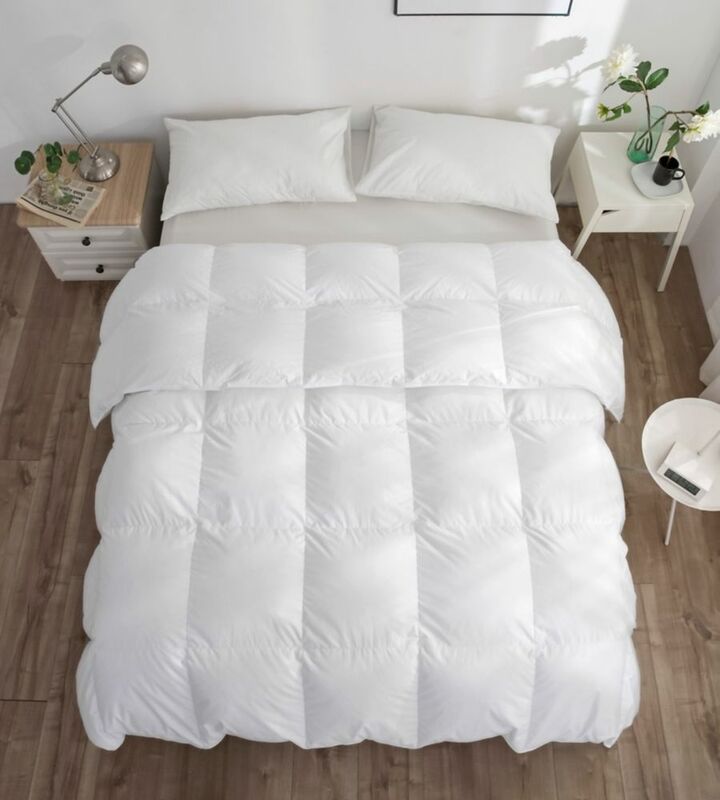 260T White Goose Down Duvet, Summer, SuperKing40 Royal Elite White Goose down duvet with 100% down-proof cotton shell in 4 sizes. Made in Canada. Our products contain the Downmark label which is your assurance of quality and contents.